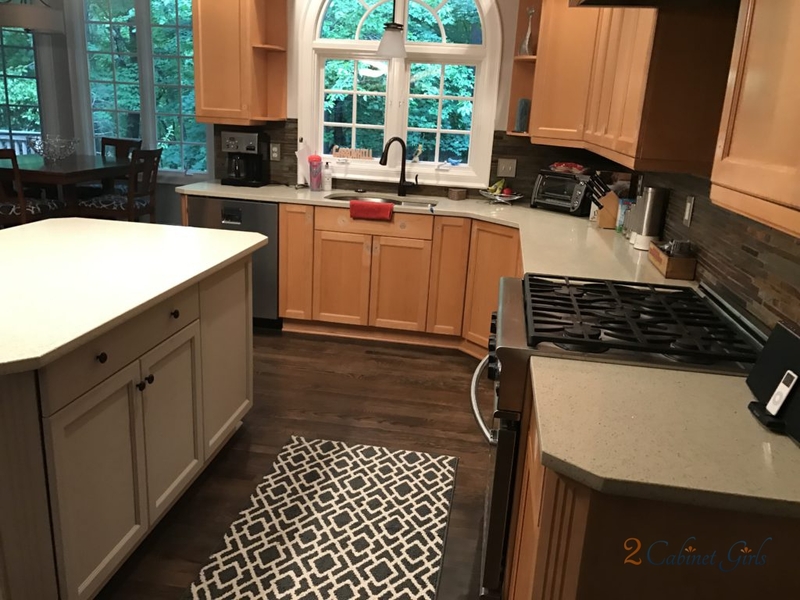 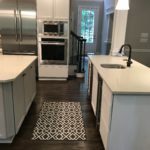 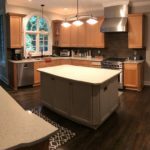 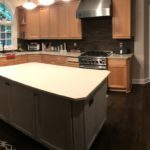 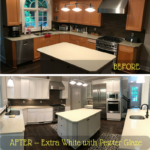 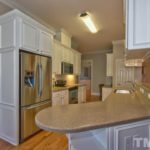 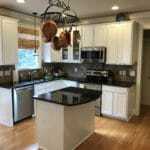 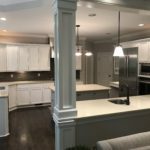 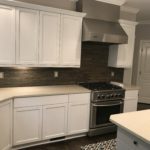 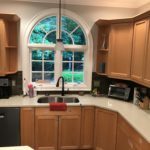 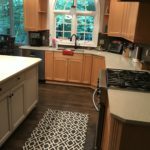 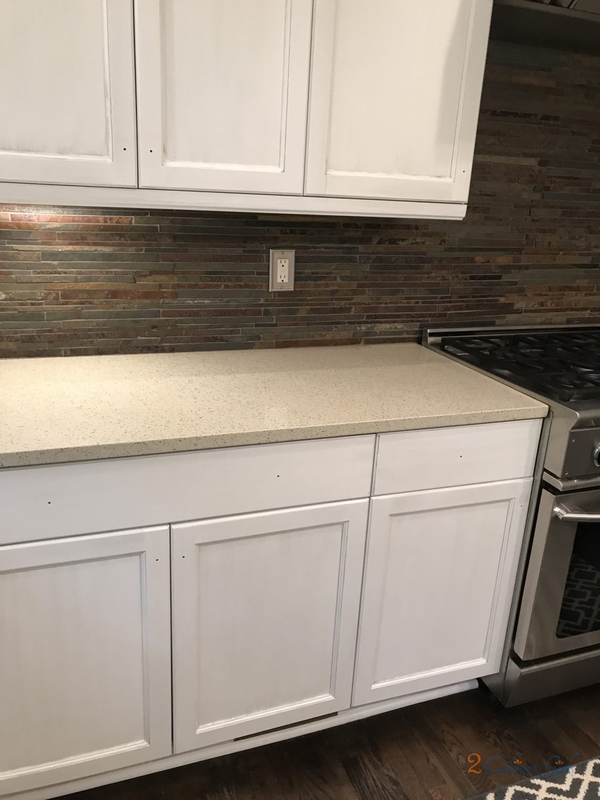 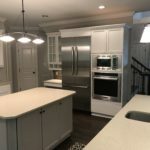 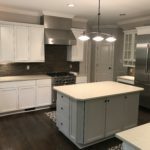 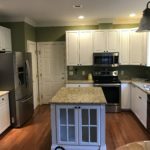 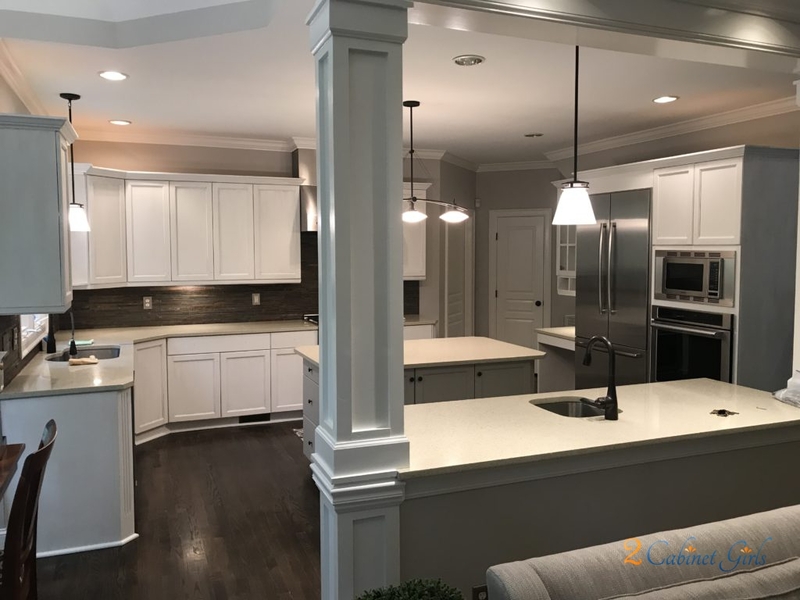 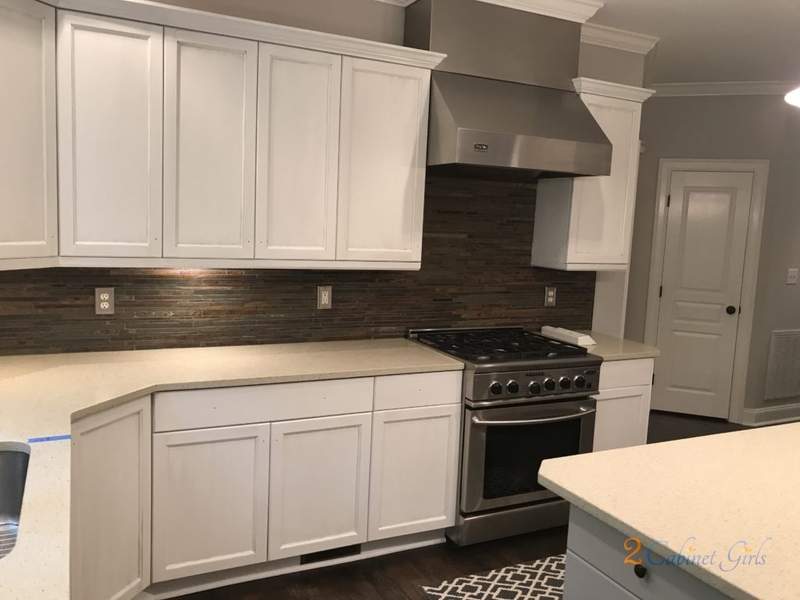 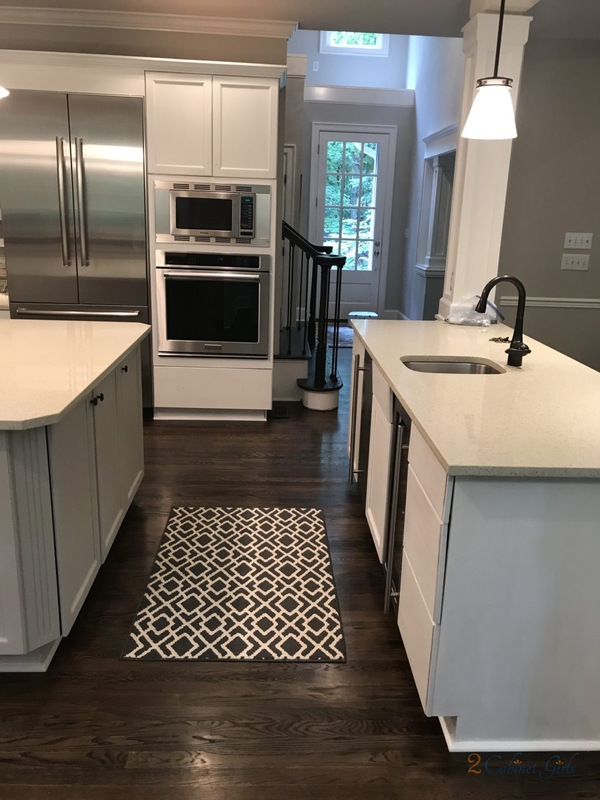 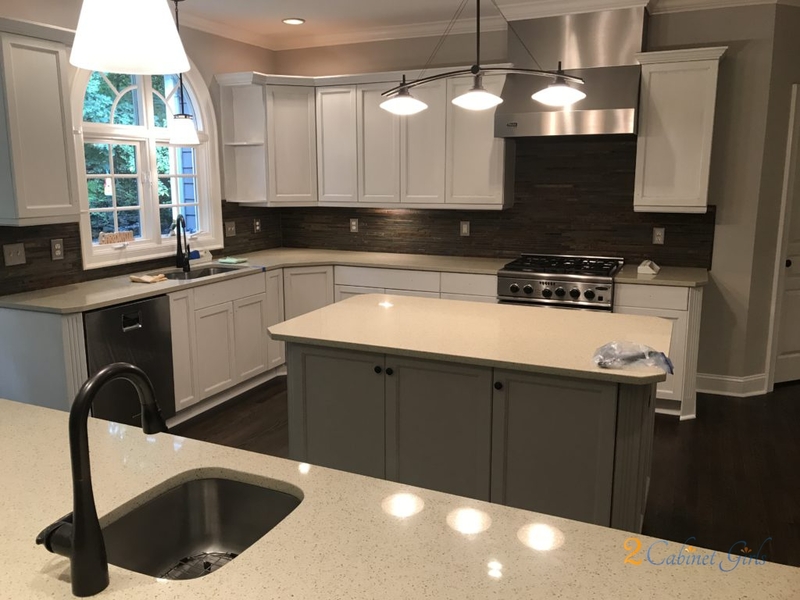 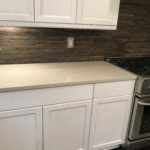 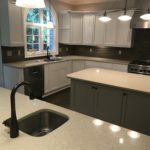 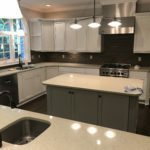 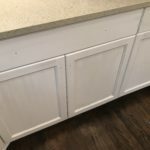 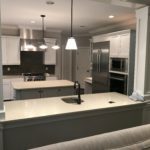 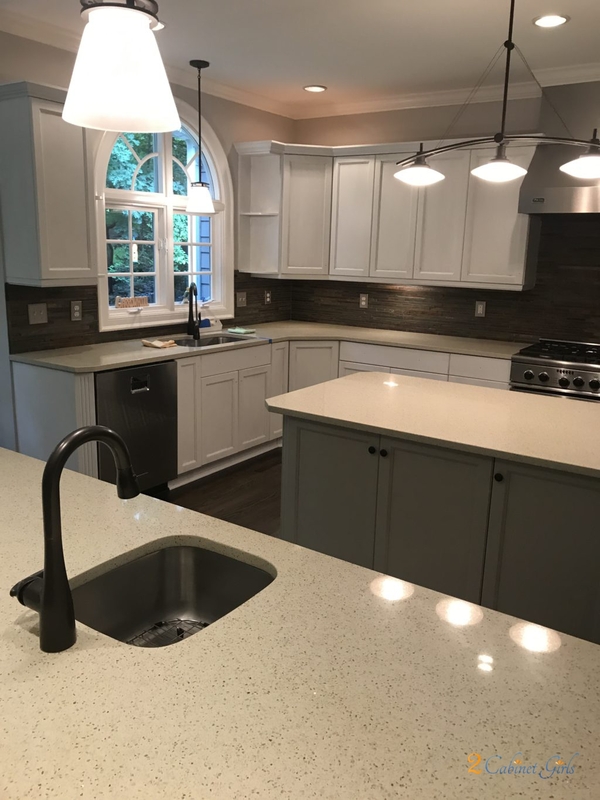 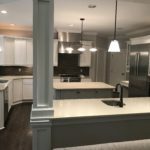 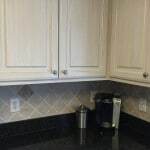 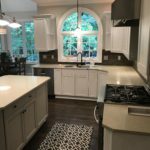 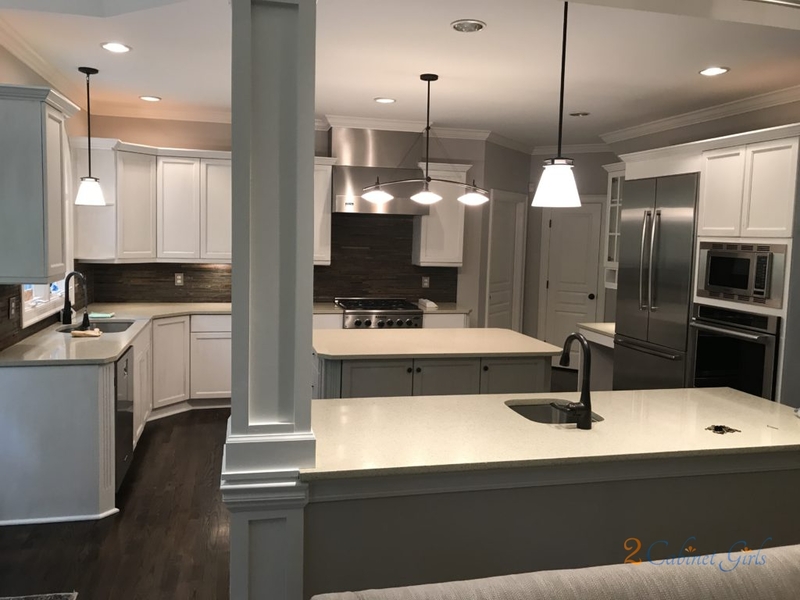 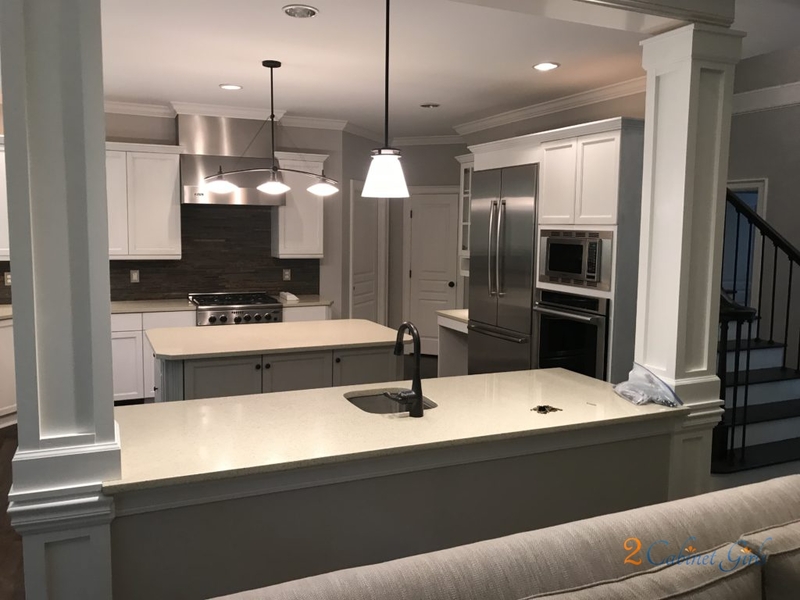 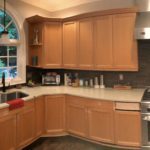 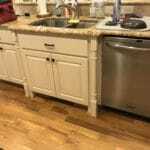 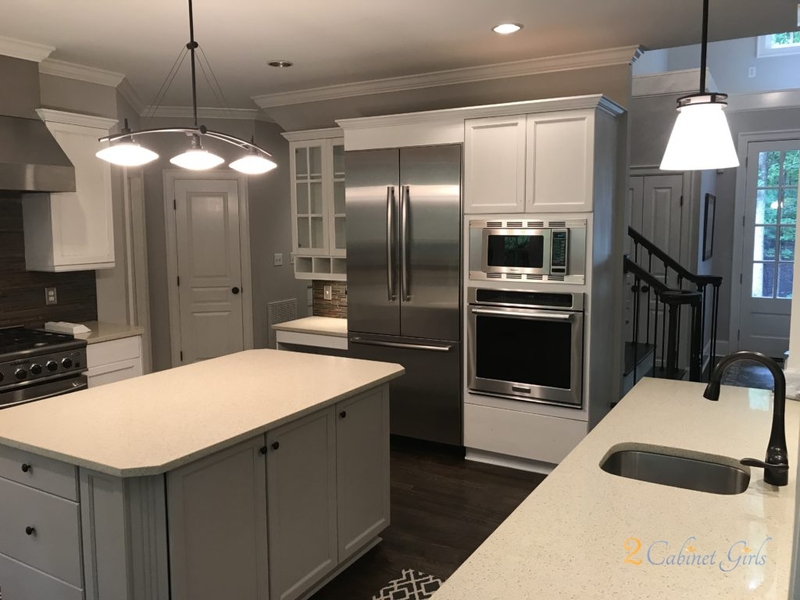 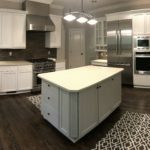 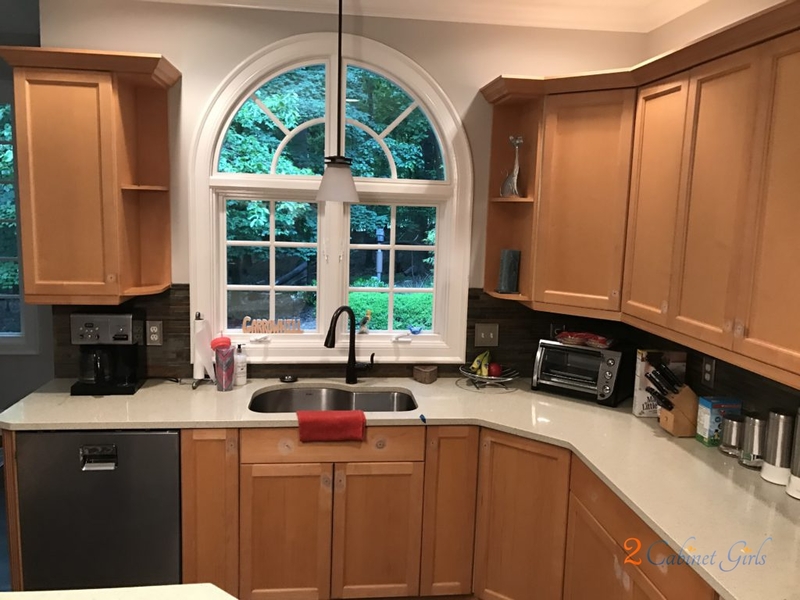 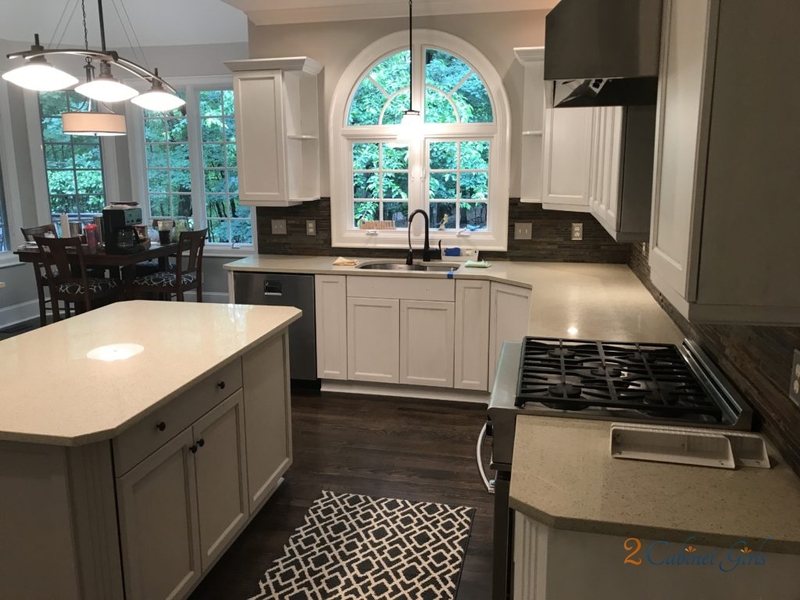 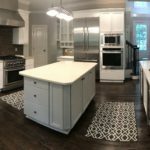 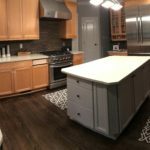 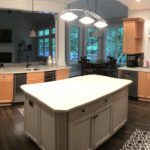 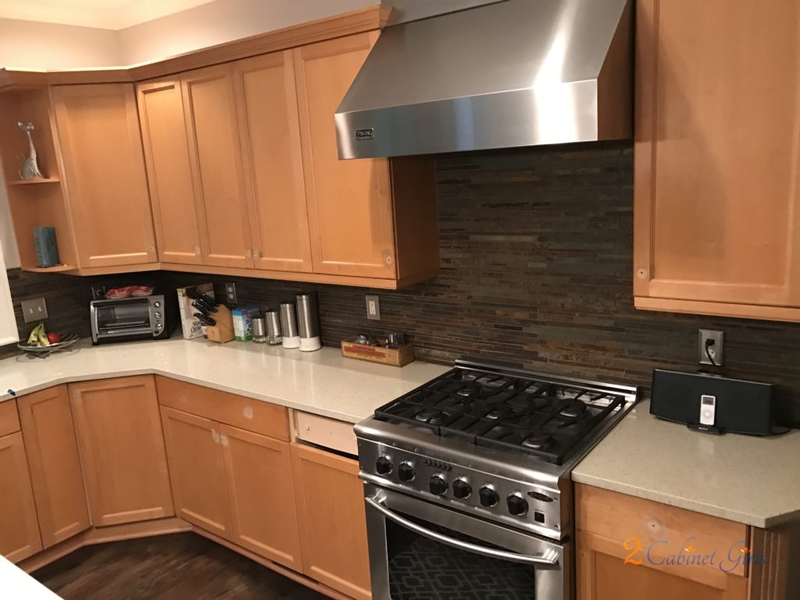 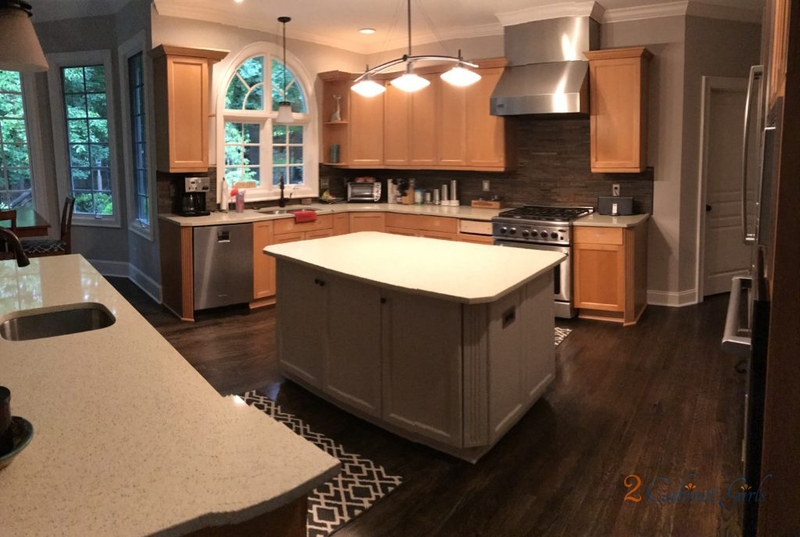 Our homeowner had just moved in and wanted to make the kitchen more modern. 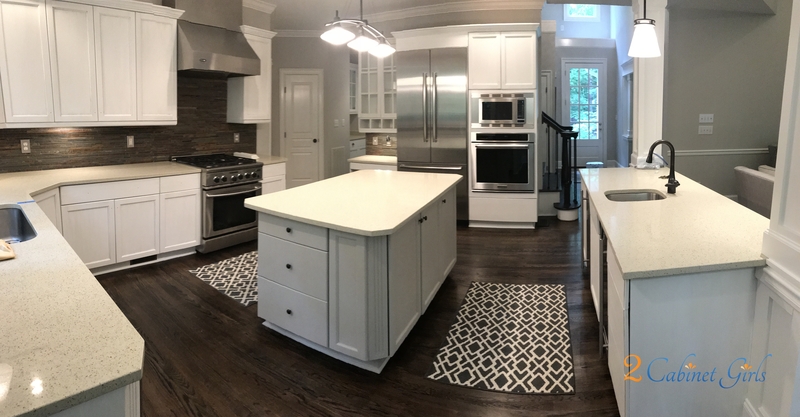 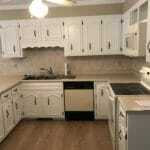 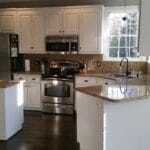 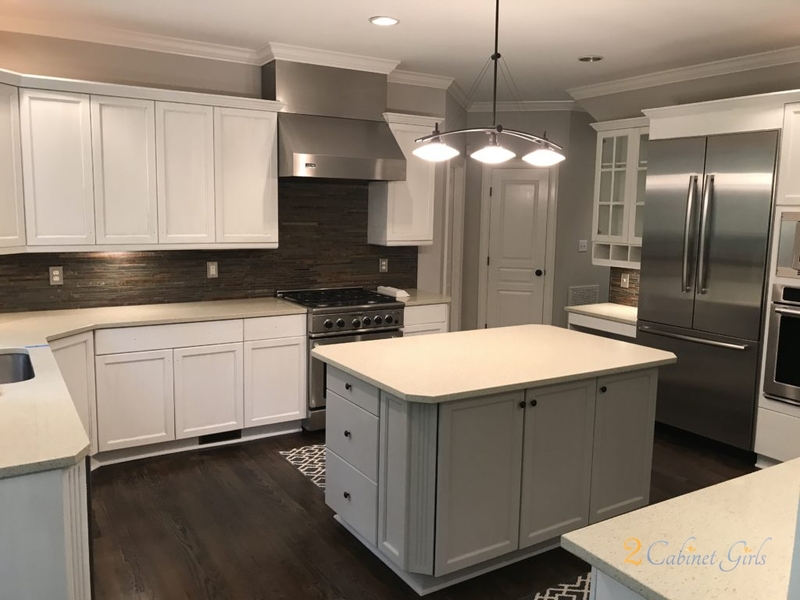 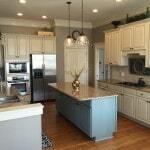 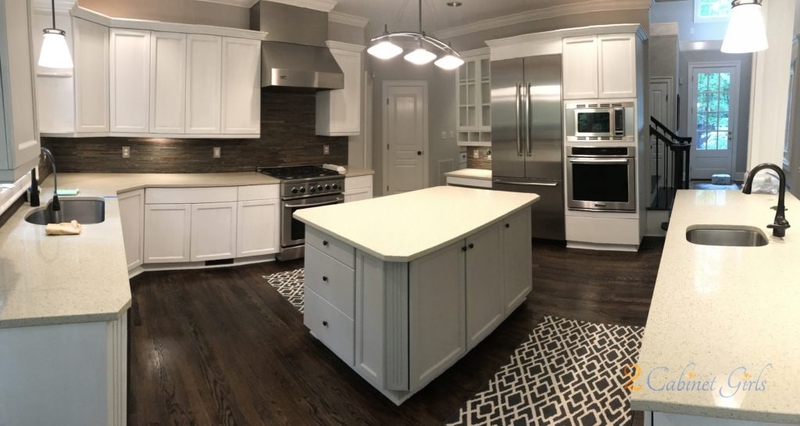 The request was for bright white kitchen cabinets with a gray ‘allover’ glaze. 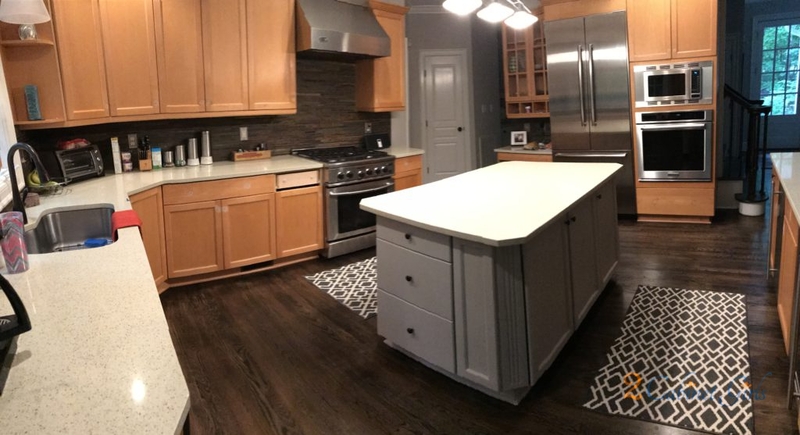 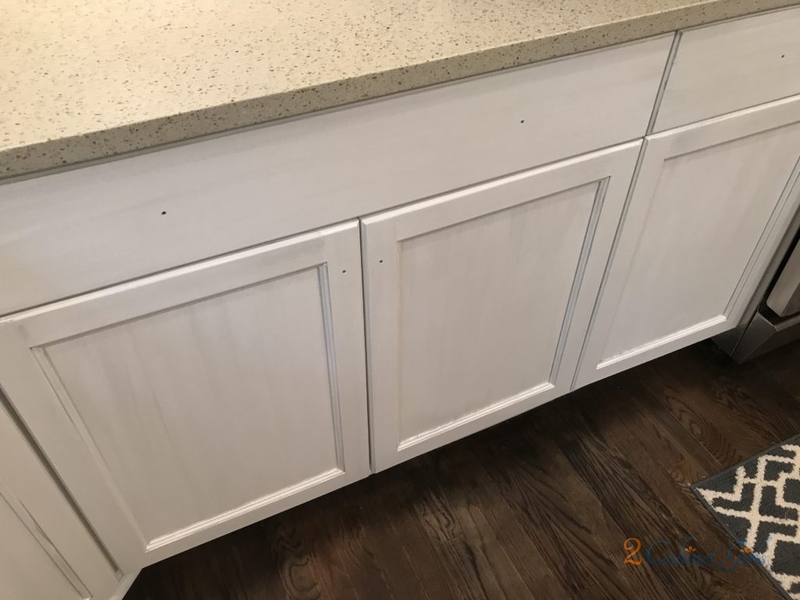 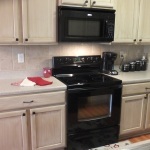 We accomplished this using Sherwin Williams Extra White and adding Benjamin Moore Pewter as the glaze. 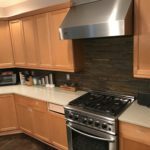 The gray glaze ties in the slate backsplash and another kitchen becomes a customized, designer kitchen.